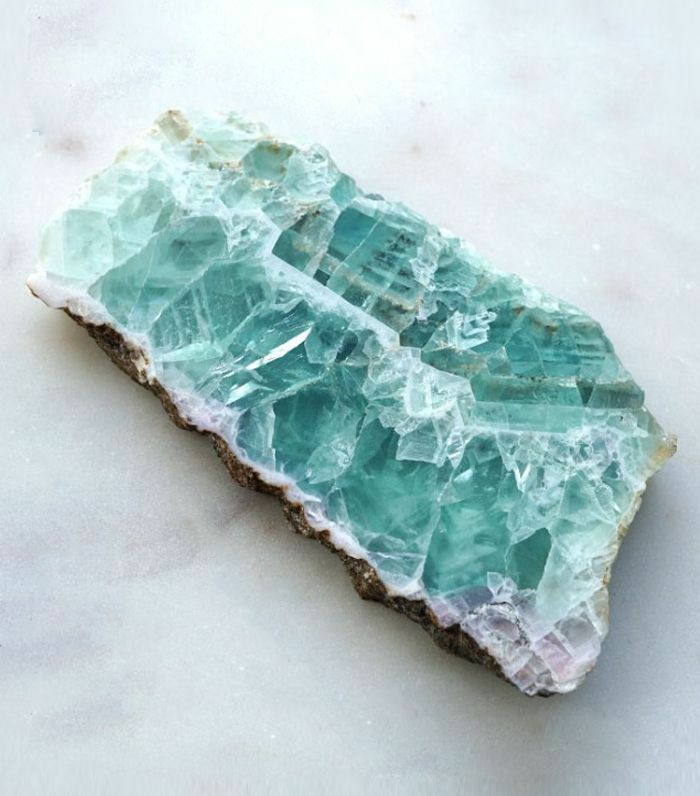 The practice of feng shui and the art of crystals have more in common than you may think. 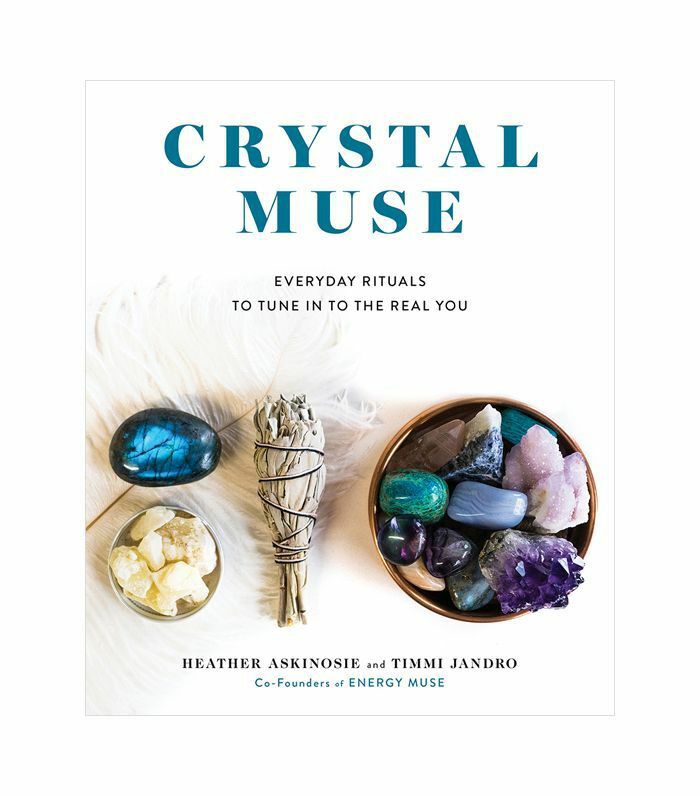 Moreover, they’re both used to “shift and transform the energy of your space,” according to Heather Askinosie, co-founder of Energy Muse and co-author of Crystal Muse. Askinosie should know—she’s an expert in combining elements like crystals, holistic healing, and feng shui to help people balance and transform their lives. For the uninitiated, she explains that crystals have an orderly structure and emit energy at a constant frequency. “When a crystal is placed on or near an area of the body emitting at a lower frequency, it encourages the body to match its higher frequency,” she says. Combine this with feng shui, which Askinosie describes as a “vehicle to help mirror back to yourself what you want to create in your life,” and you could find the positive energy you’re looking for. 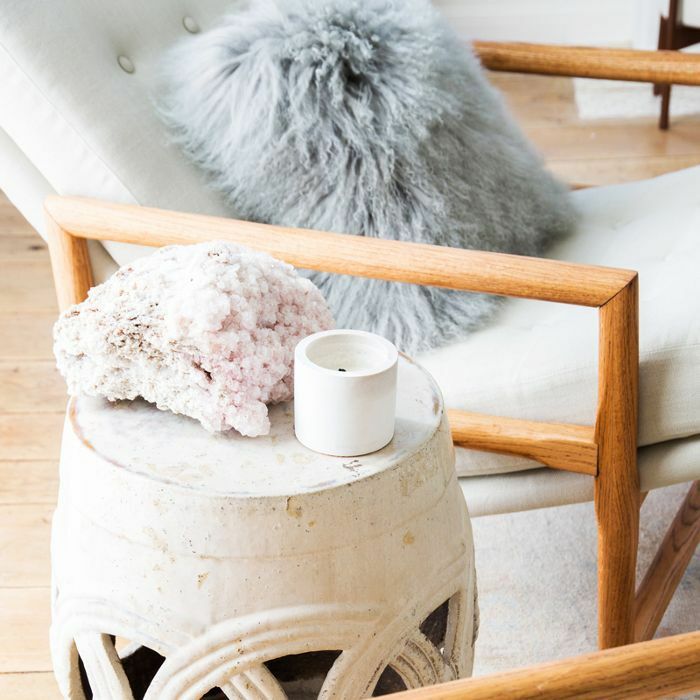 Keep reading to see the six crystals Askinosie uses to promote good vibes, then find out where you should put them in your home. “Amethyst is like a spa day in a stone,” Askinosie says. 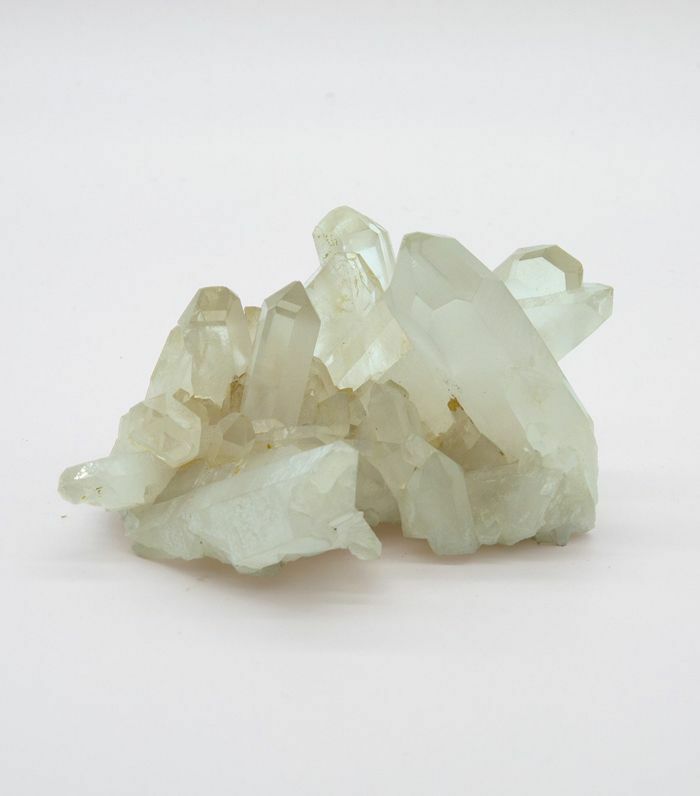 “It is the exact kind of relaxing energy that we could all use after a long day.” This crystal is perfect for relieving daily stress and promoting peaceful sleep. It’s also connected to your intuition, according to Askinosie. “Amethyst not only helps your body give in to innate desires like sound sleep and relaxation, but it also works with your third eye to balance the mind with insightful solutions to problems,” she explains. Power Placement: Anywhere. 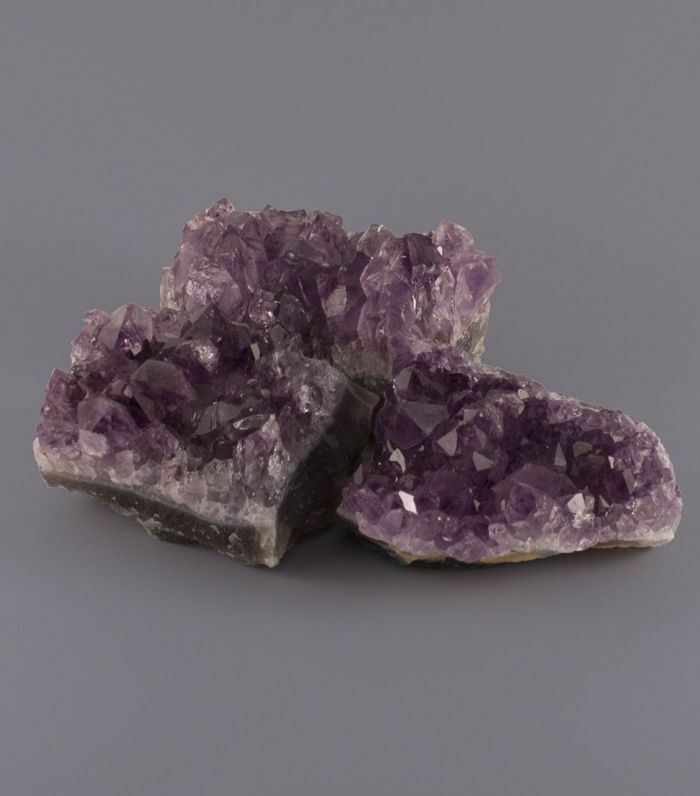 Askinosie says amethyst is like an energetic air purifier. “It cleanses away any negativity that may be hanging around and makes sure that your space carries an atmosphere of positivity where others will feel at home,” she says. Therefore, it’s ideal for just about any room in your house. Power Placement: The living room. “It purifies and cleanses the energy of your space while elevating it to a new level,” says Askinosie. 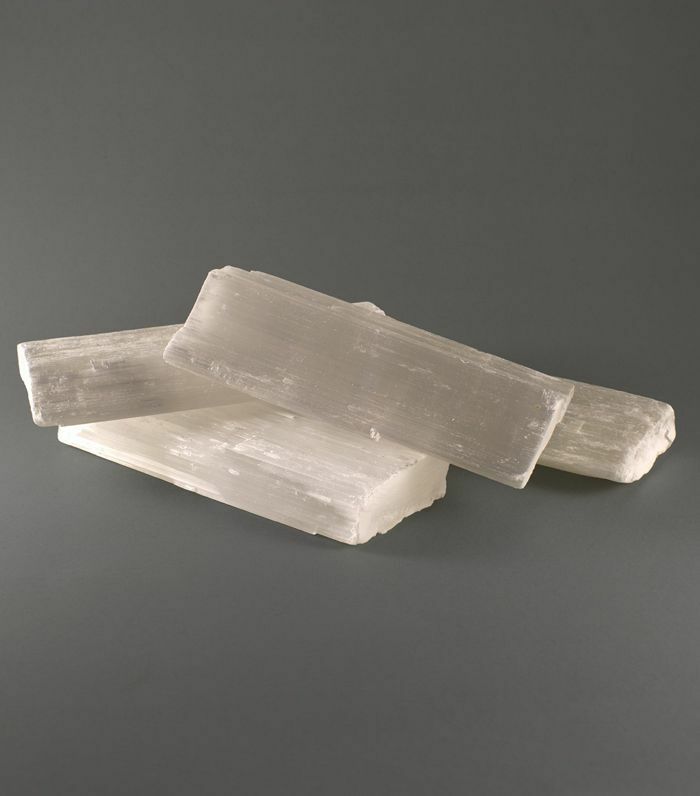 “The pure, high vibrational energy of selenite is like liquid light,” Askinosie explains. “As it flows through your space, it brightens the energy of everyone and everything within it.” Selenite can cleanse, purify, and help you meet your potential. “It shifts your aura and energetic vibration to attune you with a higher energy,” she says. This is essential for keeping feelings of grief, fear, anger, and anxiety at bay. Power Placement: Anywhere. “Put it anywhere in your place that you’d like to infuse with bright, soothing, and uplifting energy,” Askinosie says. She likes to place hers on windowsills. Power Placement: The office. Askinosie suggests placing a piece of this crystal on top of the business cards in your office. This will bring the energy of abundance, new opportunities, and prosperity, she explains. Power Placement: The bedroom. 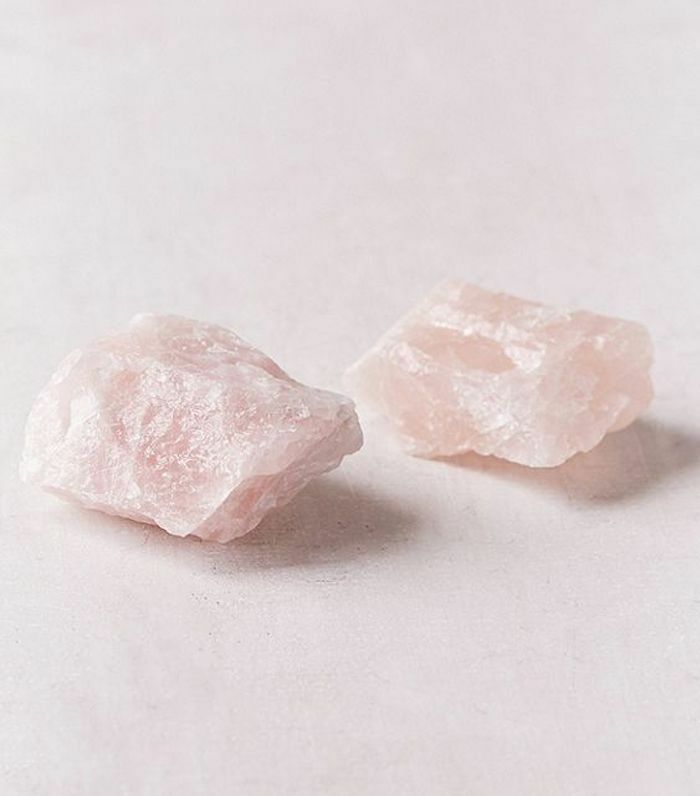 “Rose quartz is great for the bedroom because it has a very easy, loving energy that’s wonderful to relax in when you’re ready to recharge after a long day,” Askinosie says. She suggests placing two pieces on your bedside to bring more love into your sanctuary. Power Placement: Any place you go to meditate or relax. “This calming stone reminds you to take time for yourself to rejuvenate and recharge,” she says. Though cultivating a collection of crystals in your home can help to promote positivity and tranquility, there’s something else to consider. 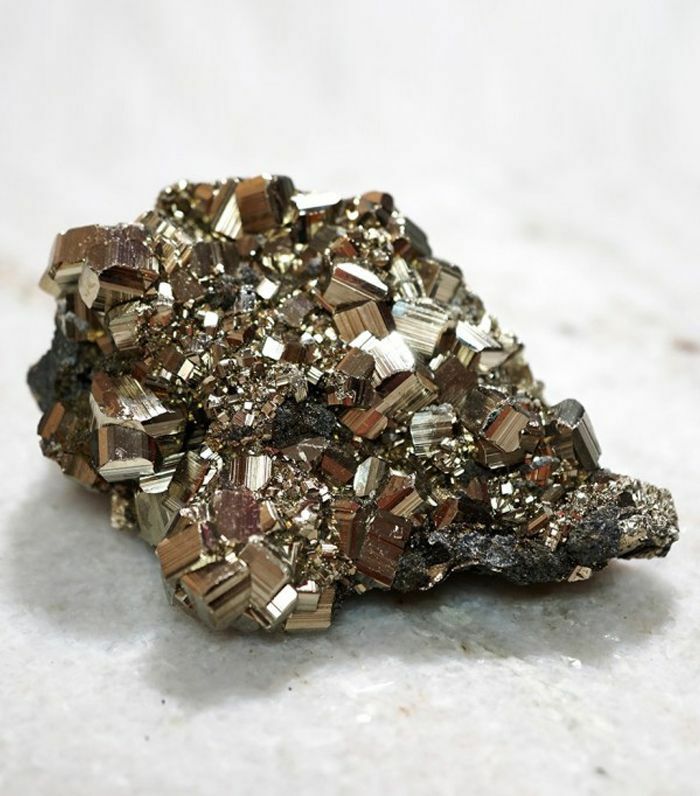 Askinosie warns against thinking that crystals will magically change your life. “At the end of the day, crystals are a tool that reminds you that you can find peace even in the midst of chaos. A touchstone to get grounded, balanced, and centered,” she says. “The magic is not the crystal; it’s you.” Always keep in mind that a crystal can’t solve all of your problems, but when placed in the right spot, it couldn’t hurt.